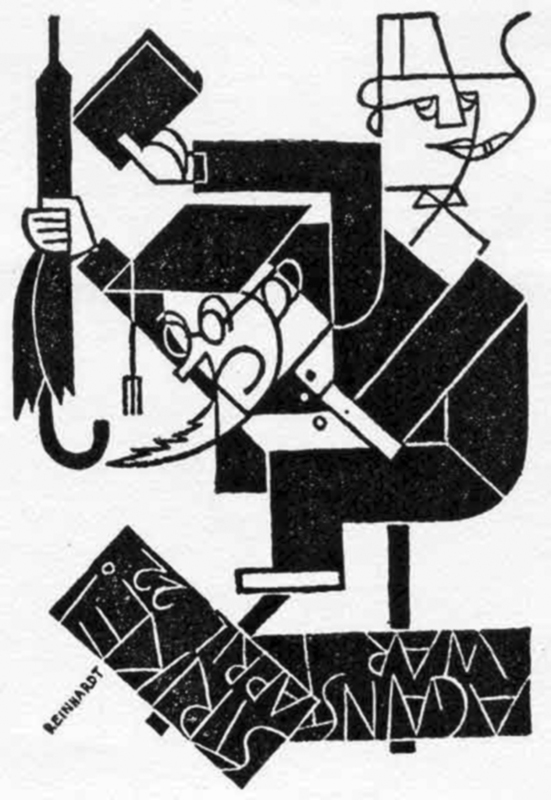 This illustration depicts City College President Frederick B. Robinson stomping on anti-war protest signs from an April 22, 1937 CCNY student rally. During his time at City College, Robinson drew extraordinary criticism from left-leaning student organizations who frequently accused him of attempting to stifle free expression on campus. Following one anti-war/anti-ROTC rally in May 1933, Robinson was alleged to have struck multiple students with his umbrella prior to his calling for the police. For student protestors, the umbrella quickly became a symbol of his presidency and he can be seen grasping it in this illustration. The April 22nd protest was part of a nationwide series of anti-war demonstrations that saw 1,000,000 student participants. At City College, the New York Times stated that 3,500 students assembled at college's Great Hall. Following the meeting, a large group was reported to have marched to the Italian consulate to protest Premier Benito Mussolini. Cite This document | Reinhardt, “Cartoon of President Robinson Stomping on Protest Signs,” CUNY Digital History Archive, accessed April 20, 2019, http://cdha.cuny.edu/items/show/4002.